The garage door. It has its ups and downs, but when it stops, you’re down. 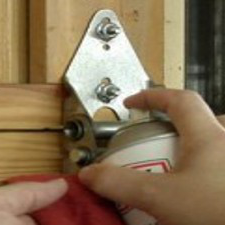 Simple, regular maintenance is all it takes to keep your home’s largest door rolling smoothly. Get maintenance tips from this week’s QuickTip.